Here's how Genelia D'Souza wishes husband Riteish Deshmukh on anniversary. Actors Riteish Deshmukh and Genelia D’Souza are celebrating their seven years of wedding anniversary. Genelia took to Instagram to share a lovely post for her husband wish him a love-filled life and lifetime of togetherness on this day. 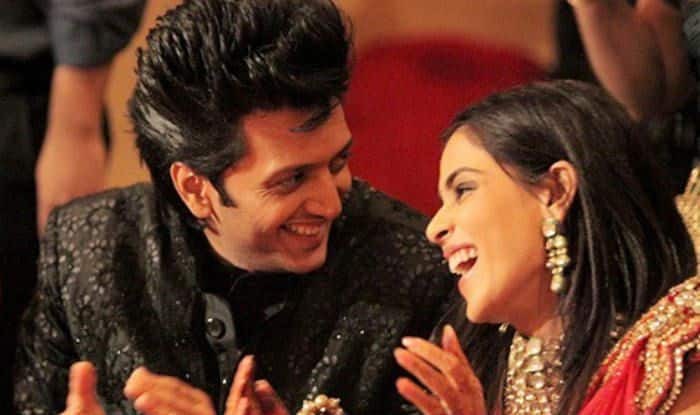 She has posted a beautiful note for Riteish alongside a lovely picture in which the two are seen sharing a hearty laugh. Genelia and Riteish dated for a few years before getting married in the year 2012. The couple has been going strong since always and has two kids now – Riaan and Rahyl Deshmukh. While Genelia has stayed away from the movies post her marriage, the duo has starred in films Tujhe Meri Kasam and Tere Naal Love Ho Gaya. Together, the two make for one of the most loved couples of Hindi film industry. On the work front, Riteish is currently busy promoting his upcoming film Total Dhamaal with Ajay Devgn, Anil Kapoor, and Madhuri Dixit. His next film is Housefull 4 with Akshay Kumar and Bobby Deol.